In the Bay Area’s escalating real estate market, nonprofits are facing large rent increases and often do not know how to approach the process of leasing a new space or renewing a lease. 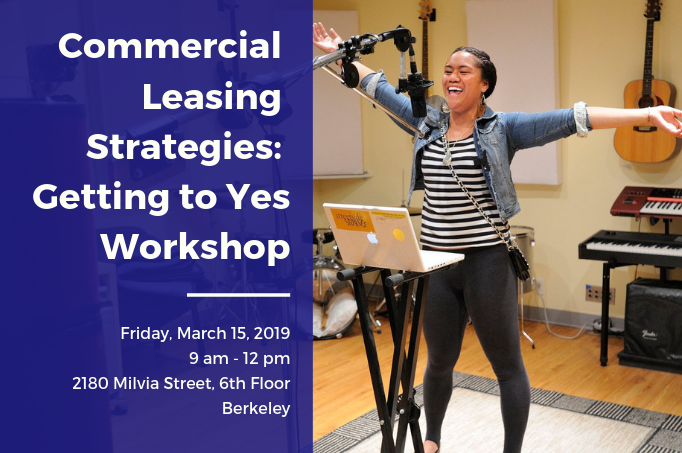 Join us to learn the key terminology in commercial leases, pitfalls to watch for, negotiation strategies with landlords, and current trends in the Bay Area commercial market. NCCLF’s expert consultants will share examples of nonprofits that have successfully negotiated leases that fit their budgets and location considerations. **Please note that scholarships are available. Contact Juan Jaimez at jjaimez@ncclf.org for more information.